You can use Skype for Business to interact with other public Skype users. This applies whether you are using your office computer or a Polycom video conference device. In the Skype for Business window, click Settings. 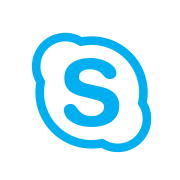 Give them your Skype for Business contact details: staffnumber@ipt.uct.ac.za (e.g. 01234567@ipt.uct.ac.za). Search for the Skype user's email address (not their Skype name)*. Select either instant messaging, voice or video call. * If the person's email address does not end with msn.com, live.com or hotmail.com, use the following format: emailaddress(emailprovider)@msn.com. This process is only available if you use a Polycom video conference device that is configured for Skype for Business. Give them your conference device’s IPT address. They will use this as the address when they call you using Skype. You can only connect with Skype users if they are using Skype on a Windows computer. This functionality will be extended to Apple Mac users once Microsoft releases a new Skype for Mac client. Go to the conferencing device’s home screen. Enter the Skype user's email address (not their IP address)*.